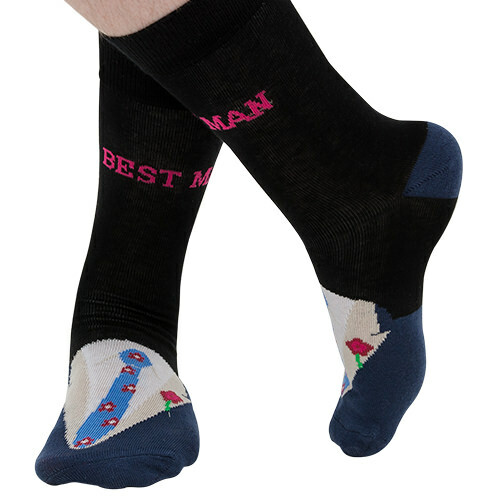 Let’s face it, you’re not good enough to be the best man. 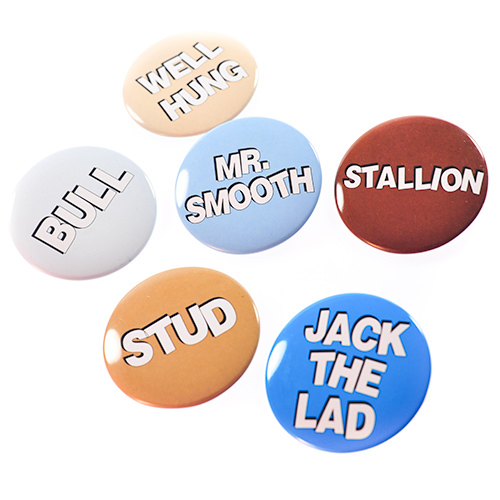 There, we said it. 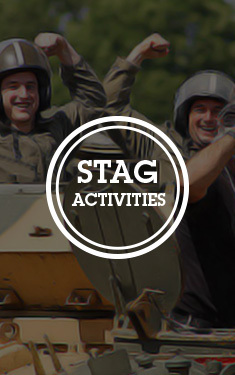 The stag likes you, but not that much. 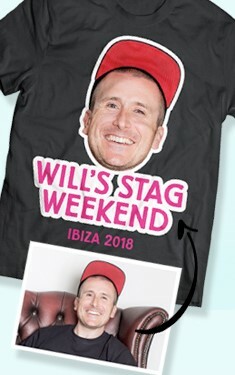 In fact, you’re sort of just making up the numbers, but hey, at least you’re involved and you’re getting to go on a lads’ weekend with a guaranteed pass from the missus. Bonus. 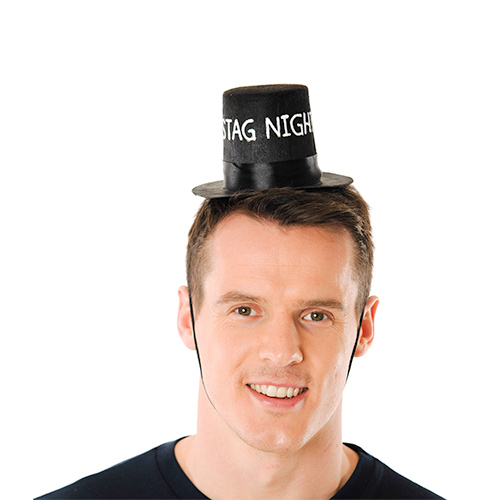 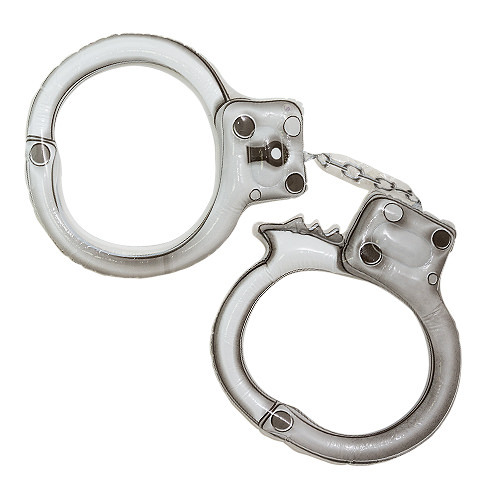 You won’t have to slave over a speech like the best man will, your job’s done once people have found their seats in the church – then it’s time to get on the booze. 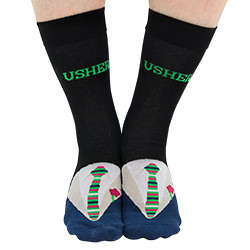 Actually, being an usher isn’t sounding too bad at all. 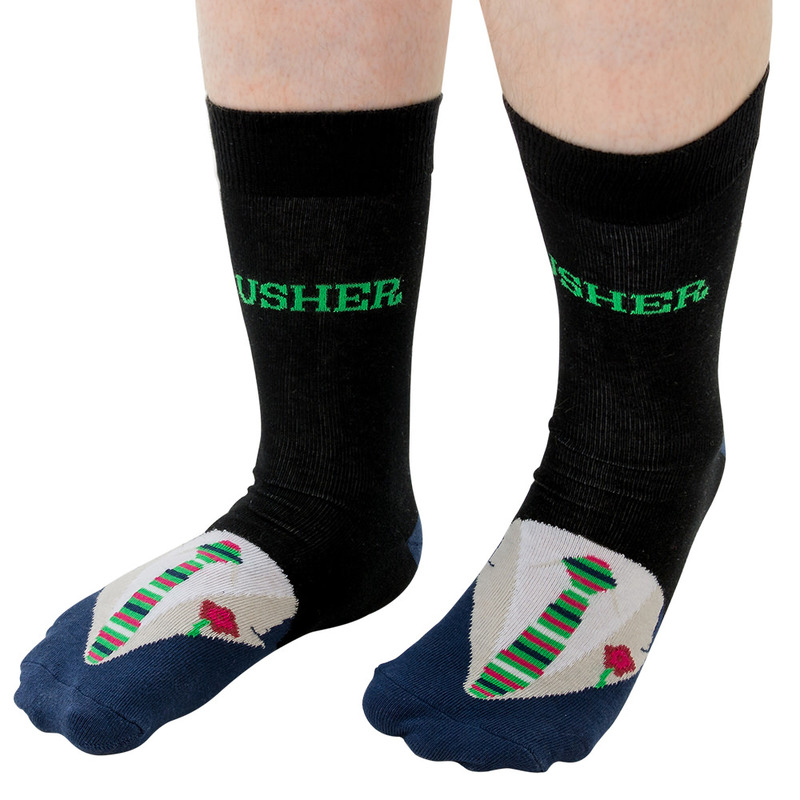 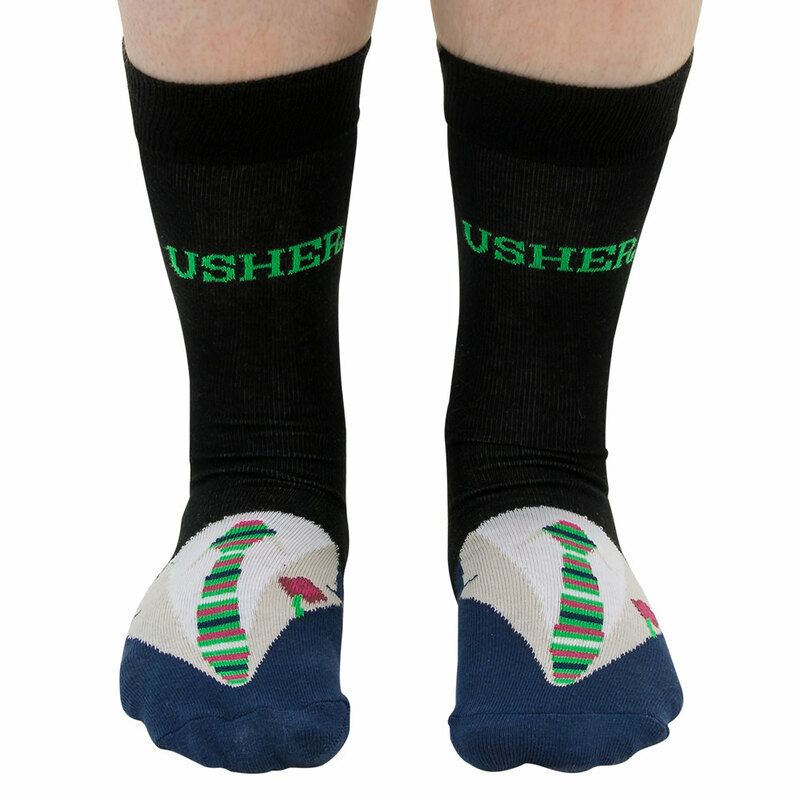 Celebrate your awesome role with some premium usher branded socks. 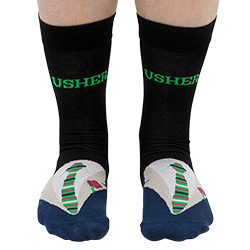 These high quality socks have the tuxedo design on the toe part and have Usher written at the top. 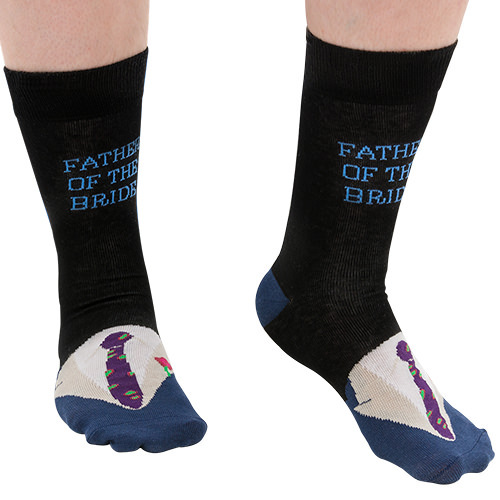 There are matching socks available for all the groomsmen – from the Father of the Bride, to the Best Man and the Groom himself – so why not unite the troops and get yourselves some cool novelty socks?